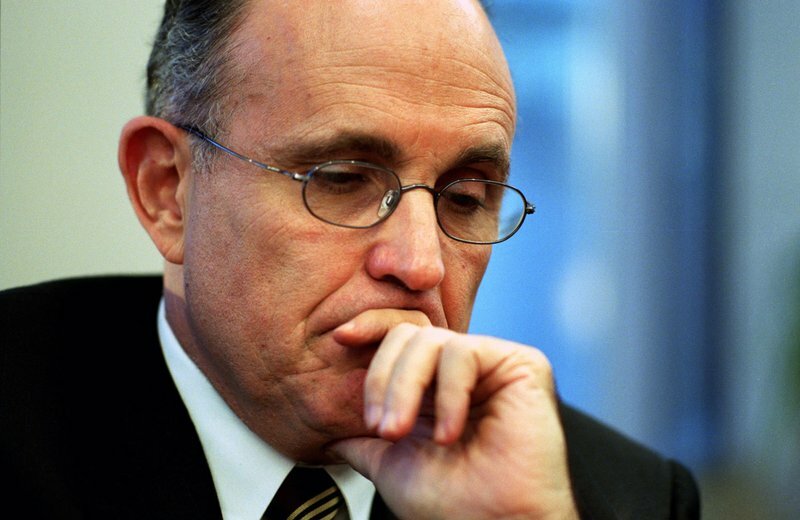 As voters in Brooklyn and the rest of the city select a new mayor today, Tuesday, Nov. 5, we thought it would be interesting to post the film, "Giuliani Time," directed by native New Yorker Kevin Keating. Hardly a love-letter to New York's 107th mayor, the film chronicles the policies he instituted, which, Keating argues, began when Giuliani was a prosecutor in the Reagan administration. Keating is an Academy Award-winning cinematographer of several well-known film and television documentaries, including "When We Were Kings," about Muhammad Ali; "Harlan County" on striking coal miners; "The Grateful Dead Movie," "Blood Brothers: Bruce Springsteen and the E Street Band," and "Soul Power" with James Brown, to name only a few. He also worked on the PBS documentary, "On Company Business" about the CIA. BC: So tell me about Giuliani, how did he become involved in politics? Keating: Giuliani started his career in politics, essentially when he went to Manhattan College and he was part of the Young Democrats Club up there. He was a Kennedy Democrat. I think in 1968 he supported Robert Kennedy for President. But like many Social Democrats they move to the right as they get older and he ends up becoming a prosecutor. He joins judge MacMahon in the federal government; he becomes his basic protégé and is promoted by Judge MacMahon to become part of the Reagan Administration. He's a federal prosecutor, as you saw in the film, handling a lot of high profile cases... it's the traditional "Promote the prosecutor as the next big city official." BC: So how does he end up as mayor? Keating: He becomes mayor because he was catapulted to national prominence by the media, including The Macneil/Lehrer (Macneil/Lehrer Report- PBS News hour), as Reagan's number three at the Justice Department. He was responsible for everything from the Haiti Interdiction Program, to enormous changes in the RICO Laws. He was a specialist in the Racketeer Influenced and Corrupt Organizations Act (RICO Laws) that they still use today. It changed everything, as the lawyer in the film said. It changed the emphasis from judges to mandatory sentencing brought in by Giuliani and that Reagan crowd, everything changed. We didn't say this in the film…when Giuliani became a federal prosecutor there were probably about 200,000 or 180,000 prisoners in the United States, it went to 2.5 million. That you can lay on Giuliani. BC: How did that happen? Keating: Mandatory Sentencing, the Drug War--that was all Giuliani, the Rockefeller Laws. The War on Drugs, that's all Giuliani and that wing of the federal prosecutorial syndrome; so you can't hold these guys back, they have all the discretion in the world and now judges don't have any discretion. BC: How did mandatory sentencing fill up the jails? Keating: They institutionalized it in the federal criminal code and everywhere else, mandatory sentencing. You get caught…a good illustration is crack cocaine verses powdered cocaine. All right, they make it that if you're caught with a volume of cocaine or marijuana in your pocket or whatever, IT'S MANDATORY. The judge doesn't have any discretion. You get eight to 12 years because you had three ounces of cocaine. No discretion at all. That is sort of from the regime instituted by Reagan/Giuliani et al, the whole idea of the prosecutorial mindset taking over the entire judicial system in the country. That is probably more of his legacy than anything he did on 911. BC: How does New York City change when he becomes mayor? Brooklyn Currents' Eric Lima interviewed Keating on the weekend before Election Day.